Alzheimer’s disease might already be the leading cause of death in the world. Millions of cases are going undiagnosed, while millions more are being misdiagnosed. At a cost of $236 billion a year, Alzheimer’s disease is the most expensive disease in the United States. Nearly one in every five Medicare dollars is spent on people with Alzheimer’s or another dementia. And these costs will only continue to increase as baby boomers age, soaring to more than $1 trillion in 2050. Millions of cases of Alzheimer’s disease have been suppressed by neurologists. Preview and order the eBook now. 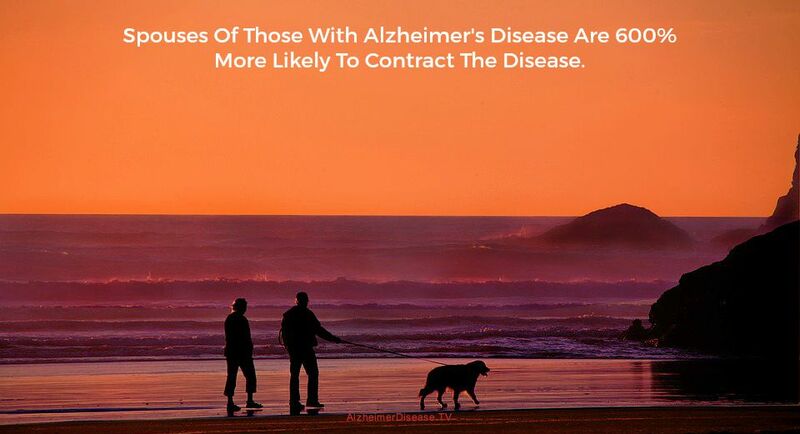 Learn how to avert exposure to the Alzheimer’s disease contagion. Answers begin with the truth. More than 50 million people around the world are dying of Alzheimer’s disease now. Many of those diagnoses will not be on the death certificate, which skews statistics even more. Alzheimer’s disease typically causes bodily functions to shut down, so the cause of death is usually attributed to heart failure, pneumonia, liver failure, etc. Almost two-thirds of those diagnosed with the disease are women. Alzheimer’s disease is the only major cause of death with no known prevention, treatment or cure. Finland has the highest rate of death from Alzheimer’s disease of any nation in the world. Iceland, Norway and the United States follow with abnormally high rates of Alzheimer’s disease. Dementia also is known as Creutzfeldt-Jakob disease, which is a more severe form of prion disease on the spectrum. Other dementias include Lewy body dementia, frontotemporal disorders, and vascular dementia. A nutritious diet, physical activity, social engagement, and mentally stimulating pursuits have all been associated with helping people stay healthy as they age. These factors might also help reduce the risk of cognitive decline and Alzheimer’s disease. Research also suggests a connection to prion exposure as a pathway to the development of prion disease. Due to many factors, prion disease is a spectrum disease. Alzheimer’s disease and Parkinson’s disease are the most common human forms of prion disease. Alzheimer’s and Creutzfeldt Jakob disease (CJD) are the common diagnoses when the primary symptom is dementia. Parkinson’s is the common diagnoses when the primary symptom is a movement disorder. Since prion disease is known as Transmissible Spongiform Encephalopathy (TSE), it appears that scientists have known about it’s transmissibility all along. 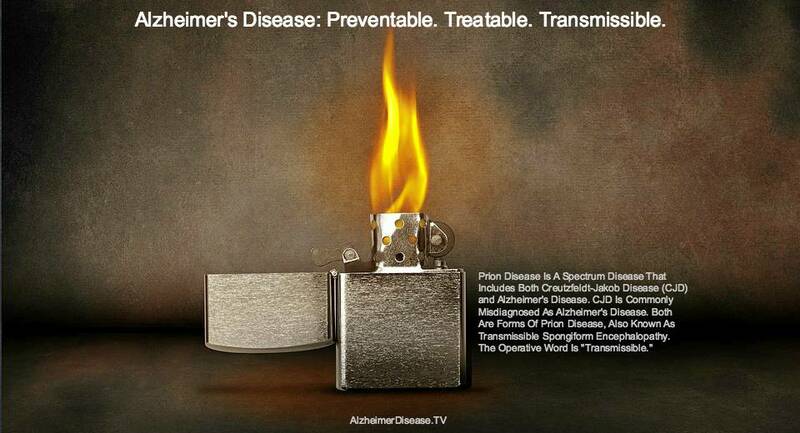 As a prion disease (a TSE), Alzheimer’s disease is an infectious disease. Prions are unstoppable. The pathogen spreads through the bodily fluids and cell tissue of its victims. Blood, saliva, mucus, milk, urine and feces carry deadly prions from victims. All tissue is infectious just because of the contact with the contaminated blood. As such, they contaminate their homes and items that they touch. They also infect toilets and entire sewage treatment systems. 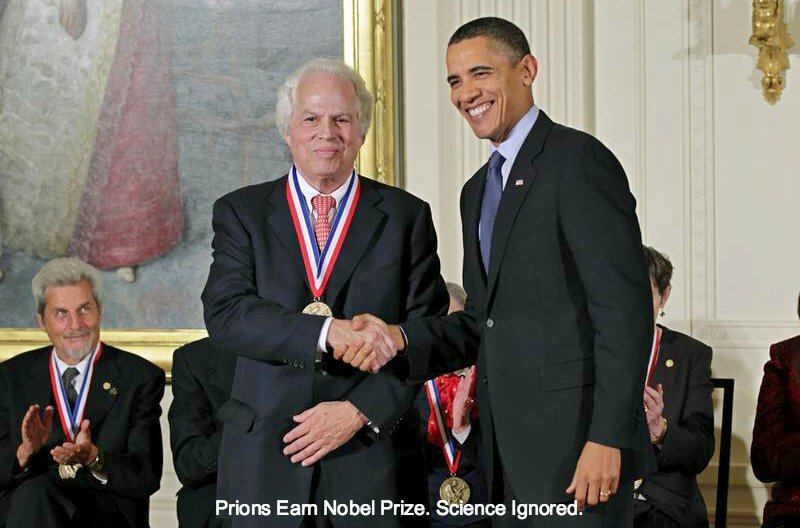 Prions are such a formidable threat that the U.S. government enacted the Bioterrorism Preparedness and Response Act of 2002, which included a provision to halt research on prions in all but two laboratories. It classified prions as select agents that pose an extreme risk to food, water and health systems. Crossbow Communications specializes in issue management and public affairs. Alzheimer’s disease, Creutzfeldt-Jakob disease and the prion disease epidemic is one of our special areas of practice.